Pectin, a heteropolysaccharide; is used as an additive in the food industry because it has thickening, gelling, emulsifying and stabilizing properties. Commercial pectins are usually produced from citrus peels, apple pomaces and less commonly sugar beet pomaces. The most common and traditional method of extracting pectin from pomaces or peels is acid extraction. In recent years, both new sources and new extraction methods have become important due to the inadequacy of pectin sources and the disadvantages of acid extraction. Especially, the use of new raw materials as pomegranate, grape, carrot for the valorization of the wastes of fruit and vegetable industry and the use of innovative technologies such as microwave assisted extraction, ultrasound assisted extraction and sub-critical water extraction, which will increase the efficiency of extraction, have taken place in studies. Within the scope of this review, different pectin sources and extraction methods, which have attracted attention in recent years, have been compiled. Bir heteropolisakkarit olan pektin; kıvam verici, jelleştirici, emülsifiye edici ve stabilize edici özelliklere sahip olmasından dolayı gıda endüstrisinde katkı maddesi olarak kullanılmaktadır. Ticari pektinler, genellikle turunçgil kabuğu, elma posası ve daha az oranda şeker pancarı posasından üretilmektedir. Pektinin, posa veya kabuklardan ekstrakte edilmesinde kullanılan en yaygın ve geleneksel yöntem asitle ekstraksiyondur. Son yıllarda, pektin kaynaklarının yetersiz olması ve asit ekstraksiyonunun dezavantajlarından dolayı hem yeni kaynak hem de yeni ekstraksiyon yöntemi araştırmaları önem kazanmıştır. Özellikle, meyve ve sebze işletmeleri artıklarının değerlendirilmesi amacıyla nar, üzüm, havuç gibi yeni hammadde kaynakları ile ekstraksiyon verimini artıracak mikrodalga destekli ekstraksiyon, ultrasonik destekli ekstraksiyon ve sub-kritik su ekstraksiyonu gibi yenilikçi teknolojilerin kullanımı çalışmalarda yer edinmiştir. Bu derleme kapsamında, son yıllarda dikkat çeken farklı pektin kaynakları ve ekstraksiyon yöntemleri derlenmiştir. Abid, M., Cheikhrouhou, S., Renard, C.M.G.C., Bureau, S., Cuvelier, G., Attia, H. Ayadi, M.A. (2017). Characterization of pectins extracted from pomegranate peel and their gelling properties. Food Chem, 215: 318–325, DOI: 10.1016/J.FOODCHEM.2016.07.181. Abid, M., Renard, C.M.G.C., Watrelot, A.A., Fendri, I., Attia, H. Ayadi, M.A. (2016). Yield and composition of pectin extracted from Tunisian pomegranate peel. Int J Biol Macromol, 93: 186–194, DOI: 10.1016/J.IJBIOMAC.2016.08.033. Adetunji, L.R., Adekunle, A., Orsat, V. Raghavan, V. (2017). Advances in the pectin production process using novel extraction techniques: A review. Food Hydrocolloids, 62: 239–250, DOI: 10.1016/J.FOODHYD.2016.08.015. Babbar, N., Dejonghe, W., Gatti, M., Sforza, S. Elst, K. (2016). Pectic oligosaccharides from agricultural by-products: production, characterization and health benefits. Crit Rev Biotechnol, 36: 594–606. Baldino, N., Mileti, O., Lupi, F.R. Gabriele, D. (2018). Rheological surface properties of commercial citrus pectins at different pH and concentration. LWT-Food Sci Technol, 93: 124–130, DOI: 10.1016/J.LWT.2018.03.037. Barba, F.J., Zhu, Z., Koubaa, M., Sant’Ana, A.S. Orlien, V. (2016). Green alternative methods for the extraction of antioxidant bioactive compounds from winery wastes and by-products: A review. Trends Food Sci Technol, 49: 96–109, DOI: 10.1016/j.tifs.2016.01.006. Canteri-Schemin, M.H., Fertonani, H.C.R., Waszczynskyj, N. Wosiacki, G. (2005). Extraction of pectin from apple pomace. Brazilian Arch Biol Technol, 48: 259–266. Chan, S.Y., Choo, W.S., Young, D.J. Loh, X.J. (2017). Pectin as a rheology modifier: Origin, structure, commercial production and rheology. Carbohydr Polymers, 161: 118–139, DOI: 10.1016/J.CARBPOL.2016.12.033. Chemat, F., Rombaut, N., Meullemiestre, A., Turk, M., Perino, S., Fabiano-Tixier, A.S. Abert-Vian, M. (2017). Review of Green Food Processing techniques. Preservation, transformation, and extraction. Innov Food Sci Emerg Technol, 41: 357–377, DOI: 10.1016/j.ifset.2017.04.016. Chen, Q., Hu, Z., Yao, F.Y.D. Liang, H. (2016). Study of two-stage microwave extraction of essential oil and pectin from pomelo peels. 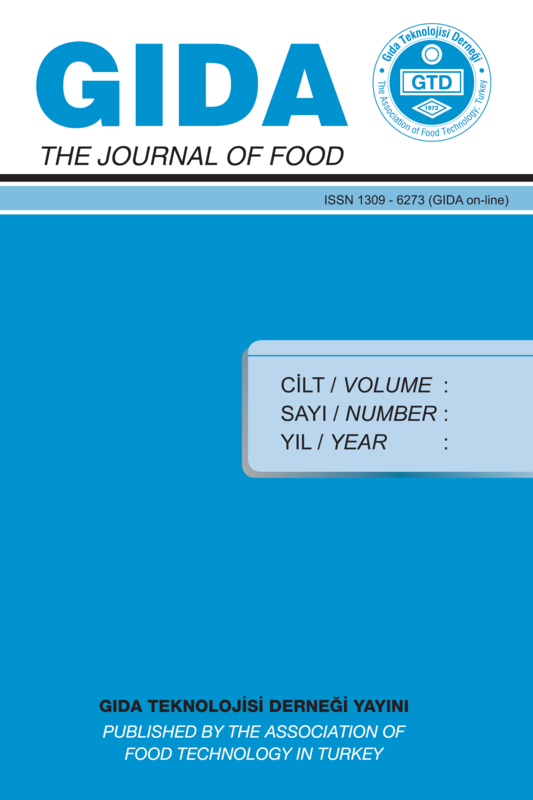 LWT - Food Sci Technol, 66: 538–545, DOI: 10.1016/j.lwt.2015.11.019. Ciriminna, R., Fidalgo, A., Delisi, R., Ilharco, L.M. Pagliaro, M. (2016). Pectin production and global market. Agro Food Industry Hi Tech, 27: 17–20. Dominiak, M., Søndergaard, K.M., Wichmann, J., Vidal-melgosa, S., Willats, W.G.T., Meyer, A.S. Mikkelsen, J.D. (2014a). Application of enzymes for efficient extraction , modification, and development of functional properties of lime pectin. Food Hydrocolloids, 40: 273-282, DOI: 10.1016/j.foodhyd.2014.03.009. Dominiak, M.M. Mikkelsen, J. D., Marie Søndergaard, K. (2014b). A novel perspective on pectin extraction. Technical University of Denmark, Department of Chemical and Biochemical Engineering, Denmark, p 115. Freitas de Oliveira, C., Giordani, D., Lutckemier, R., Gurak, P.D., Cladera-Olivera, F. Ferreira Marczak, L.D. (2016). Extraction of pectin from passion fruit peel assisted by ultrasound. LWT - Food Sci Technol, 71: 110–115, DOI: 10.1016/j.lwt.2016.03.027. Georgiev, Y., Ognyanov, M., Yanakieva, I., Kussovski, V. Kratchanova, M. (2012). Isolation, characterization and modification of citrus pectins. J Bio Sci Biotech, 1: 223–233. Grassino, A.N., Barba, F.J., Brnčić, M., Lorenzo, J.M., Lucini, L. Brnčić, S.R. (2018). Analytical tools used for the identification and quantification of pectin extracted from plant food matrices, wastes and by-products: A review. Food Chem, 266: 47–55, DOI: 10.1016/J.FOODCHEM.2018.05.105. Grassino, A.N., Brnčić, M., Vikić-Topić, D., Roca, S., Dent, M. Brnčić, S.R. (2016a). Ultrasound assisted extraction and characterization of pectin from tomato waste. Food Chem, 198: 93–100, DOI: 10.1016/J.FOODCHEM.2015.11.095. Grassino, A.N., Halambek, J., Djaković, S., Rimac Brnčić, S., Dent, M. Grabarić, Z. (2016b). Utilization of tomato peel waste from canning factory as a potential source for pectin production and application as tin corrosion inhibitor. Food Hydrocolloids, 52: 265–274, DOI: 10.1016/J.FOODHYD.2015.06.020. Harholt, J., Suttangkakul, A. Scheller, H.V. (2010). Biosynthesis of pectin. Plant Physiol, 153: 384–395, DOI: https://doi.org/10.1104/pp.110.156588. http://www.plantphysiol.org/content/early/2010/04/28/pp.110.156588.abstract. Hosseini, S.S., Khodaiyan, F. Yarmand, M.S. (2016a). Optimization of microwave assisted extraction of pectin from sour orange peel and its physicochemical properties. Carbohydr Polymers, 140: 59–65, DOI: 10.1016/j.carbpol.2015.12.051. Hosseini, S.S., Khodaiyan, F. Yarmand, M.S. (2016b). Aqueous extraction of pectin from sour orange peel and its preliminary physicochemical properties. Int J Biol Macromol, 82: 920–926, DOI: 10.1016/j.ijbiomac.2015.11.007. Huang, X., Li, D. Wang, L. (2018). Effect of particle size of sugar beet pulp on the extraction and property of pectin. J Food Eng, 218: 44–49, DOI: 10.1016/J.JFOODENG.2017.09.001. Jafari, F., Khodaiyan, F., Kiani, H. Hosseini, S.S. (2017). Pectin from carrot pomace: Optimization of extraction and physicochemical properties. Carbohydr Polymers, 157: 1315–1322, DOI: 10.1016/J.CARBPOL.2016.11.013. Kang, J., Hua, X., Yang, R., Chen, Y. Yang, H. (2015). Characterization of natural low-methoxyl pectin from sunflower head extracted by sodium citrate and purified by ultrafiltration. Food Chem, 180: 98–105, DOI: 10.1016/J.FOODCHEM.2015.02.037. Košťálová, Z., Aguedo, M. Hromádková, Z. (2016). Microwave-assisted extraction of pectin from unutilized pumpkin biomass. Chem Eng Process: Process Intensif, 102: 9–15, DOI: 10.1016/J.CEP.2015.12.009. Koubaa, M., Roselló-Soto, E., Šic Žlabur, J., Režek Jambrak, A., Brnčić, M., Grimi, N., Boussetta, N. Barba, F.J. (2015). Current and New Insights in the Sustainable and Green Recovery of Nutritionally Valuable Compounds from Stevia rebaudiana Bertoni. J Agricult Food Chem, 63: 6835–6846, DOI: 10.1021/acs.jafc.5b01994. Lefsih, K., Delattre, C., Pierre, G., Michaud, P., Aminabhavi, T.M., Dahmoune, F. Madani, K. (2016). Extraction, characterization and gelling behavior enhancement of pectins from the cladodes of Opuntia ficus indica. Int J Biol Macromol, 82: 645–652, DOI: 10.1016/j.ijbiomac.2015.10.046. Liew, S.Q., Ngoh, G.C., Yusoff, R. Teoh, W.H. (2016). Sequential ultrasound-microwave assisted acid extraction (UMAE) of pectin from pomelo peels. Int J Biol Macromol, 93: 426–435, DOI: 10.1016/j.ijbiomac.2016.08.065. Maran, J.P., Priya, B., Al-Dhabi, N.A., Ponmurugan, K., Moorthy, I.G. Sivarajasekar, N. (2017). Ultrasound assisted citric acid mediated pectin extraction from industrial waste of Musa balbisiana. Ultrasonics Sonochemistry, 35: 204–209, DOI: 10.1016/j.ultsonch.2016.09.019. Maran, J.P., Sivakumar, V., Thirugnanasambandham, K. Sridhar, R. (2014). Microwave assisted extraction of pectin from waste Citrullus lanatus fruit rinds. Carbohydr Polymers, 101: 786–791, DOI: 10.1016/j.carbpol.2013.09.062. Marić, M., Grassino, A.N., Zhu, Z., Barba, F.J., Brnčić, M. Rimac Brnčić, S. (2018). An overview of the traditional and innovative approaches for pectin extraction from plant food wastes and by-products: Ultrasound-, microwaves-, and enzyme-assisted extraction. Trends Food Sci Technol, 76: 28–37, DOI: 10.1016/j.tifs.2018.03.022. May, C.D. (1990). Industrial pectins: Sources, production and applications. Carbohydr Polymers, 12: 79–99. Mierczyńska, J., Cybulska, J. Zdunek, A. (2017). Rheological and chemical properties of pectin enriched fractions from different sources extracted with citric acid. Carbohydr Polymers, 156: 443–451, DOI: 10.1016/J.CARBPOL.2016.09.042. Minjares-Fuentes, R., Femenia, A., Garau, M.C., Meza-Velázquez, J.A., Simal, S. Rosselló, C. (2014). Ultrasound-assisted extraction of pectins from grape pomace using citric acid: A response surface methodology approach. Carbohydr Polymers, 106: 179–189. Misra, N.N., Martynenko, A., Chemat, F., Paniwnyk, L., Barba, F.J. Jambrak, A.R. (2017). Thermodynamics, transport phenomena, and electrochemistry of external field-assisted nonthermal food technologies. Crit Rev Food Sci Nutr, 8398: 1–32, DOI: 10.1080/10408398.2017.1287660. Moorthy, I.G., Maran, J.P., Surya, S.M., Naganyashree, S. Shivamathi, C.S. (2015). Response surface optimization of ultrasound assisted extraction of pectin from pomegranate peel. Int J Biol Macromol, 72: 1323–1328, DOI: 10.1016/J.IJBIOMAC.2014.10.037. Morales-Contreras, B.E., Rosas-Flores, W., Contreras-Esquivel, J.C., Wicker, L. Morales-Castro, J. (2018). Pectin from Husk Tomato (Physalis ixocarpa Brot. ): Rheological behavior at different extraction conditions. Carbohydr Polymers, 179: 282–289, DOI: 10.1016/J.CARBPOL.2017.09.097. Müller-Maatsch, J., Bencivenni, M., Caligiani, A., Tedeschi, T., Bruggeman, G., Bosch, M., Petrusan, J., Droogenbroeck, B. Van, Elst, K. Sforza, S. (2016). Pectin content and composition from different food waste streams. Food Chem, 201: 37–45, DOI: 10.1016/J.FOODCHEM.2016.01.012. Mungure, T.E., Roohinejad, S., Bekhit, A.E.-D., Greiner, R. Mallikarjunan, K. (2018). Potential application of pectin for the stabilization of nanoemulsions. Curr Opin Food Sci, 19: 72–76, DOI: 10.1016/J.COFS.2018.01.011. Naqash, F., Masoodi, F.A., Rather, S.A., Wani, S.M. Gani, A. (2017). Emerging concepts in the nutraceutical and functional properties of pectin—A Review. Carbohydr Polymers, 168: 227–239, DOI: 10.1016/J.CARBPOL.2017.03.058. Oliveira, T.Í.S., Rosa, M.F., Cavalcante, F.L., Pereira, P.H.F., Moates, G.K., Wellner, N., Mazzetto, S.E., Waldron, K.W. Azeredo, H.M.C. (2016). Optimization of pectin extraction from banana peels with citric acid by using response surface methodology. Food Chem, 198: 113–118, DOI: 10.1016/J.FOODCHEM.2015.08.080. Pasandide, B., Khodaiyan, F., Mousavi, Z.E. Hosseini, S.S. (2017). Optimization of aqueous pectin extraction from Citrus medica peel. Carbohydr Polymers, 178: 27–33, DOI: 10.1016/J.CARBPOL.2017.08.098. Pereira, P.H.F., Oliveira, T.Í.S., Rosa, M.F., Cavalcante, F.L., Moates, G.K., Wellner, N., Waldron, K.W. Azeredo, H.M.C. (2016). Pectin extraction from pomegranate peels with citric acid. Int J Biol Macromol, 88: 373–379, DOI: 10.1016/J.IJBIOMAC.2016.03.074. Perussello, C.A., Zhang, Z., Marzocchella, A. Tiwari, B.K. (2017). Valorization of Apple Pomace by Extraction of Valuable Compounds. Compr Rev Food Sci Food Safety, 16: 776–796, DOI: 10.1111/1541-4337.12290. Petkowicz, C.L.O., Vriesmann, L.C. Williams, P.A. (2017). Pectins from food waste: Extraction, characterization and properties of watermelon rind pectin. Food Hydrocolloids, 65: 57–67, DOI: 10.1016/J.FOODHYD.2016.10.040. Poojary, M.M., Orlien, V., Passamonti, P. Olsen, K. (2017). Enzyme-assisted extraction enhancing the umami taste amino acids recovery from several cultivated mushrooms. Food Chem, 234: 236–244, DOI: 10.1016/j.foodchem.2017.04.157. Prakash Maran, J., Sivakumar, V., Thirugnanasambandham, K. Sridhar, R. (2013). Optimization of microwave assisted extraction of pectin from orange peel. Carbohydr Polymers, 97: 703–709. Quoc, L.P.T., Huyen, V.T.N., Hue, L.T.N., Hue, N.T.H., Thuan, N.H.D., Tam, N.T.T., Thuan, N.N. Duy, T.H. (2015). Extraction of pectin from pomelo (Citrus maxima) peels with the assistance of microwave and tartaric acid. Int Food Res J, 22: 1637–1641. Raji, Z., Khodaiyan, F., Rezaei, K., Kiani, H. Hosseini, S.S. (2017). Extraction optimization and physicochemical properties of pectin from melon peel. Int J Biol Macromol, 98: 709–716, DOI: 10.1016/J.IJBIOMAC.2017.01.146. Roselló-Soto, E., Parniakov, O., Deng, Q., Patras, A., Koubaa, M., Grimi, N., Boussetta, N., Tiwari, B.K., Vorobiev, E., Lebovka, N. Barba, F.J. (2016). Application of Non-conventional Extraction Methods: Toward a Sustainable and Green Production of Valuable Compounds from Mushrooms. Food Eng Rev, 8: 214–234, DOI: 10.1007/s12393-015-9131-1. Sabater, C., Corzo, N., Olano, A. Montilla, A. (2018). Enzymatic extraction of pectin from artichoke (Cynara scolymus L.) by-products using Celluclast®1.5L. Carbohydr Polymers, 190: 43–49, DOI: 10.1016/J.CARBPOL.2018.02.055. Sahin, S., Samli, R., Birteks Z Tan, A.S., Barba, F.J., Chemat, F., Cravotto, G. Lorenzo, J.M. (2017). Solvent-free microwave-assisted extraction of polyphenols from olive tree leaves: Antioxidant and antimicrobial properties. Molecules, 22(7): 1-13, DOI: 10.3390/molecules22071056. Seggiani, M., Puccini, M., Pierini, M., Giovando, S. Forneris, C. (2009). Effect of different extraction and precipitation methods on yield and quality of pectin. Int J Food Sci Technol, 44: 574–580, DOI: doi:10.1111/j.1365-2621.2008.01849.x. Shpigelman, A., Kyomugasho, C., Christiaens, S., Loey, A.M. Van Hendrickx, M.E. (2015). The effect of high pressure homogenization on pectin: Importance of pectin source and pH. Food Hydrocolloids, 43: 189–198, DOI: 10.1016/J.FOODHYD.2014.05.019. Şimşek, S. (2013). Havuç mayşesi ve posasından elde edilen pektin ve modifiye pektinlerin özellikleri ve çevresel etkileri. Süleyman Demirel Üniversitesi Fen Bilimleri Enstitüsü, Isparta, Türkiye, 85s. Swamy, G.J. Muthukumarappan, K. (2017). Optimization of continuous and intermittent microwave extraction of pectin from banana peels. Food Chem, 220: 108–114, DOI: 10.1016/j.foodchem.2016.09.197. Tiwari, B.K. (2015). Ultrasound: A clean, green extraction technology. Trends Analytic Chem, 71: 100–109, DOI: 10.1016/j.trac.2015.04.013. Umoren, S.A. Eduok, U.M. (2016). Application of carbohydrate polymers as corrosion inhibitors for metal substrates in different media: A review. Carbohydr Polymers, 140: 314–341, DOI: 10.1016/J.CARBPOL.2015.12.038. Wang, H., Ding, J. Ren, N. (2016). Recent advances in microwave-assisted extraction of trace organic pollutants from food and environmental samples. Trends Analytic Chem, 75: 197–208, DOI: 10.1016/j.trac.2015.05.005. Wang, W., Ma, X., Xu, Y., Cao, Y., Jiang, Z., Ding, T., Ye, X. Liu, D. (2015). Ultrasound-assisted heating extraction of pectin from grapefruit peel: Optimization and comparison with the conventional method. Food Chem, 178: 106–114, DOI: 10.1016/J.FOODCHEM.2015.01.080. Wang, X., Chen, Q. Lü, X. (2014). Pectin extracted from apple pomace and citrus peel by subcritical water. Food Hydrocolloids, 38: 129–137, DOI: 10.1016/j.foodhyd.2013.12.003. Wikiera, A., Mika, M. Grabacka, M. (2015a). Multicatalytic enzyme preparations as effective alternative to acid in pectin extraction. Food Hydrocolloids, 44: 151–161, DOI: 10.1016/j.foodhyd.2014.09.018. Wikiera, A., Mika, M., Starzyńska-Janiszewska, A. Stodolak, B. (2015b). Application of Celluclast 1.5L in apple pectin extraction. Carbohydr Polymers, 134: 251–257, DOI: 10.1016/j.carbpol.2015.07.051. Xu, Y., Zhang, L., Bailina, Y., Ge, Z., Ding, T., Ye, X. Liu, D. (2014). Effects of ultrasound and / or heating on the extraction of pectin from grapefruit peel. J Food Eng, 126: 72–81, DOI: 10.1016/j.jfoodeng.2013.11.004. Yang, J.S., Mu, T.H. Ma, M.M. (2018). Extraction, structure, and emulsifying properties of pectin from potato pulp. Food Chem, 244: 197–205, DOI: 10.1016/j.foodchem.2017.10.059. Yuliarti, O., Goh, K.K.T., Matia-Merino, L., Mawson, J. Brennan, C. (2015). Extraction and characterisation of pomace pectin from gold kiwifruit (Actinidia chinensis). Food Chem, 187: 290–296, DOI: 10.1016/j.foodchem.2015.03.148. Zakaria, S.M. Kamal, S.M.M. (2016). Subcritical Water Extraction of Bioactive Compounds from Plants and Algae: Applications in Pharmaceutical and Food Ingredients. Food Eng Rev, 8: 23–34, DOI: 10.1007/s12393-015-9119-x. Zhao, W., Guo, X., Pang, X., Gao, L., Liao, X. Wu, J. (2015). Preparation and characterization of low methoxyl pectin by high hydrostatic pressure-assisted enzymatic treatment compared with enzymatic method under atmospheric pressure. Food Hydrocolloids, 50: 44–53, DOI: 10.1016/j.foodhyd.2015.04.004.